Sivas (Armenian: ;Kurdish: ;Latin: Sebastia, Sebastea, Sebasteia, Sebaste) is a Turkish city in central Turkey and the seat of Sivas Province. According to a 2011 estimate, its urban population is 425,297. The city, which lies at an elevation of 4,193 feet (1,278 m) in the broad valley of the K?z?l?rmak river, is a moderately-sized trade center and industrial city, although the economy has traditionally been based on agriculture. Rail repair shops and a thriving manufacturing industry of rugs, bricks, cement, and cotton and woolen textiles form the mainstays of the citys economy. The surrounding region is a cereal-producing area with large deposits of iron ore which are worked at Divri?i. 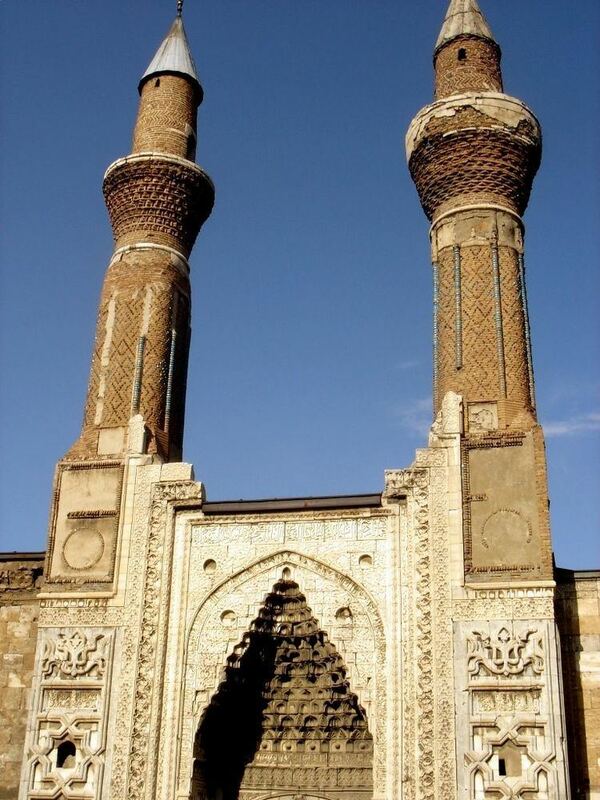 Sivas is also a communications hub for the north-south and east-west trade routes to Iraq and Iran, respectively. With the development of railways, the city gained new economic importance as junction of important rail lines linking the cities of Ankara, Kayseri, Samsun, and Erzurum. The city is linked by air to Istanbul. The popular name Sebastian derives from the Latin Sebastianus, meaning someone from the city. Excavations at a mound known as Topraktepe indicate Hittite settlement in the area as early as 2600 BC, though little is known of Sivas history prior to its emergence in the Roman period. In 64 BC as part of his reorganization of Asia Minor after the Third Mithridatic War, Pompey the Great founded a city on the site called "Megalopolis". Numismatic evidence suggests that Megalopolis changed its name in the last years of the 1st century BC to "Sebaste", which is the feminine form of the Greek name corresponding to Augustus. The name "Sivas" is the Turkish version deriving from the name Sebasteia, as the city was known during the late Roman (Byzantine) empire. Sebasteia became the capital of the province of Armenia Minor under the emperor Diocletian, was a town of some importance in the early history of the Christian Church; in the 4th century it was the home of Saint Blaise and Saint Peter of Sebaste, bishops of the town, and of Eustathius, one of the early founders of monasticism in Asia Minor. It was also the place of martyrdom of the Forty Martyrs of Sebaste, also 4th century. Justinian I had a fortified wall around it rebuilt in the 6th century. The city was acquired by Ottoman Sultan Bayezid I (1389–1402). In 1398, Tamerlane swept into the area and his forces destroyed the city in 1400, after which it was recaptured by the Ottomans in 1408. Under the Ottomans, Sivas served as the administrative center of the province of Rum until about the late 19th century.The Armenian Apostolic Church maintained six Armenian churches in Sivas, being the Meryemana, Surp Sarkis, Surp Minas, Surp Prgitsh, Surp Hagop, Surp Kevork, four monasteries Surp Nschan, Surp Hreshdagabed, Surp Anabad, Surp Hntragadar, an Armenian Apostolic orphanage and several schools. The Armenian Catholic Church and the Latins also had one church and a metropolitan of Sebastea. Two Protestant churches and eight, mostly German- and American-staffed, schools. During the genocide against Armenians as well as against Greek Christians from July 5, 1915 onwards, the Christian community of Sivas was exterminated by deportations and mass executions. 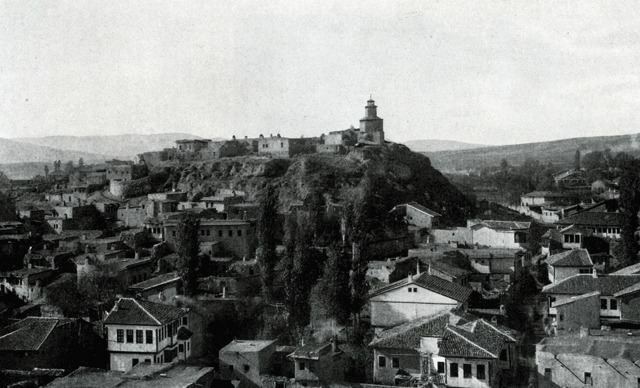 The Sivas Congress (Heyet-i Temiliye) was held in this city 4–11 September 1919. With the arrival of Mustafa Kemal Atatürk (1881–1938), the founder of the Turkish Republic, from Amasya, the Congress of Sivas is considered a turning point in the formation of the Turkish Republic. It was at this congress that Atatürks position as chair of the executive committee of the national resistance was confirmed (see Turkish War of Independence). Sivas was depicted on the reverse of the Turkish 500 lira banknote of 1927-1939. On 2 July 1993, 37 participants in an Alevi cultural and literary festival were killed when a mob of demonstrators set fire to the Madimak hotel in Sivas during a violent protest by some 15,000 members of various radical Islamist groups against the presence of Aziz Nesin. The deaths resulted in the Turkish government taking a harder stance against religious fanaticism, militant Islam, and antisecularism. In late 2006, there was a campaign by the Pir Sultan Abdal Cultural Institute to convert the former hotel into a museum to commemorate the tragedy, now known as the Sivas massacre. Historically, Sivas was known for producing cereal. As of 1913, Sivas produced 79,000 tons of cereal, making it a major, and successful, industry. Sivas also had orchards, exporting produce to Constantinople. Alfalfa and copper was also produced in the area. Sericulture was seen in Sivas before 1914. Specialies of Sivas are Tarhana (a soup made using sour yogurt) and Kelecos (a sour potato soup made with yoghurt). One distinct feature of Sivas cooking is the use of Madimak which is a local herb similar to Spinach. Sivas kebab? is a variety of Kebab originating from Sivas.